What is a projector screen and why you should use it? 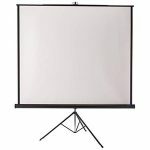 A projector screen is a surface that can hold the light and is used to display the image produced by a projector. It is usually made of thin PVC sheets. The PVC sheet can be glossy/matte depending on the user’s requirements. Projector screens are not compulsory for a projector. You can also use any white surface for projection. But for the best picture quality you must use a projector screen. Some people think that projector screen is only used for decorating the presentation environment. But it is not just a piece of decoration, in fact it provides perfect light reflection from the projected image and gives a comfortable viewing experience. Projector screen also adds convenience to your usage. You can start the presentation easily within few minutes. A tripod projector screen is a projector screen with tripod legs at the bottom. Because of the tripod legs, it can be move and placed anywhere instantly. 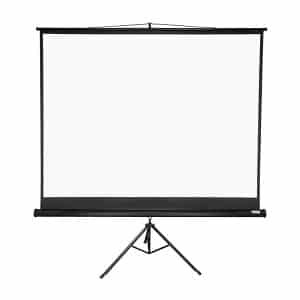 This type of screen is also known as portable projector screen. 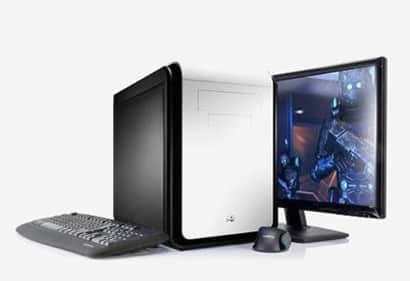 You can use it for portable presentations. 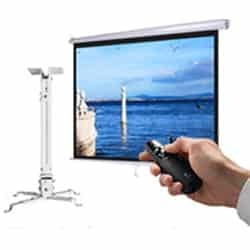 A wall mounted projector screen is one that can be fixed to the wall permanently. This type of screen looks simple and doesn’t take much space. You can simply pull down the screen when doing and presentation and you can also fold it inside after your presentation is over. 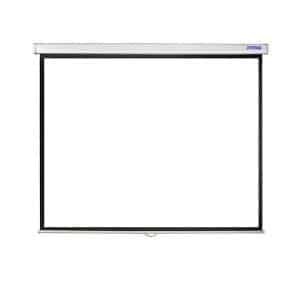 Wall mounted projector screens are mostly used in office and classroom. There are two types of wall mounted projector screens. Manual Pull down and motorized. A manual pull down projector screen has to be manually pulled down and has to be manually folded in. But a motorized projector screen works automatically. Motorized projector screens have electric motor and remote control facility. You can open and close the motorized projector screen automatically using the remote. 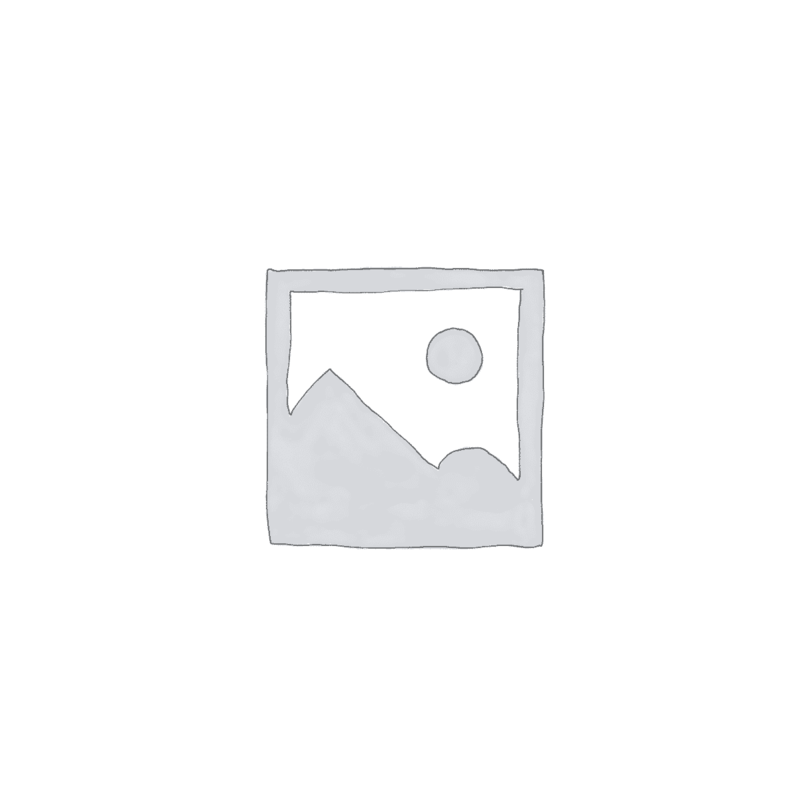 The price of a projector screen varies with its size and technology. Basically projector screen price in Bangladesh can range from 2600 taka to 40000 taka. 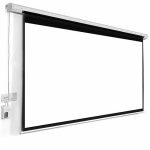 The wall mounted pull down projector screens are the cheapest and the most common projector screen in Bangladesh. The price of Tripod projector screen is slightly more than the wall mounted pull down screen. 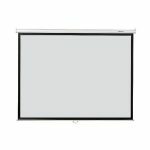 The motorized projector screens are the most expensive projector screens in the market.